It is with great shock and sadness that we announce the passing of Stephen Rolfe Powell. Stephen was an incredibly generous teacher and artist, who touched many with his talent and heart. Stephen was known for his vibrantly colored pieces and playful forms that so beautifully reflect light. He was a 1974 Centre College graduate, who returned to his alma matter to teach in 1983. He then built a working studio program that helped to establish Kentucky as an international force in the world of glass art. In 2012, Stephen was also honored with the Distinguished Educator Award, from the James Renwick Alliance in Washington D.C. 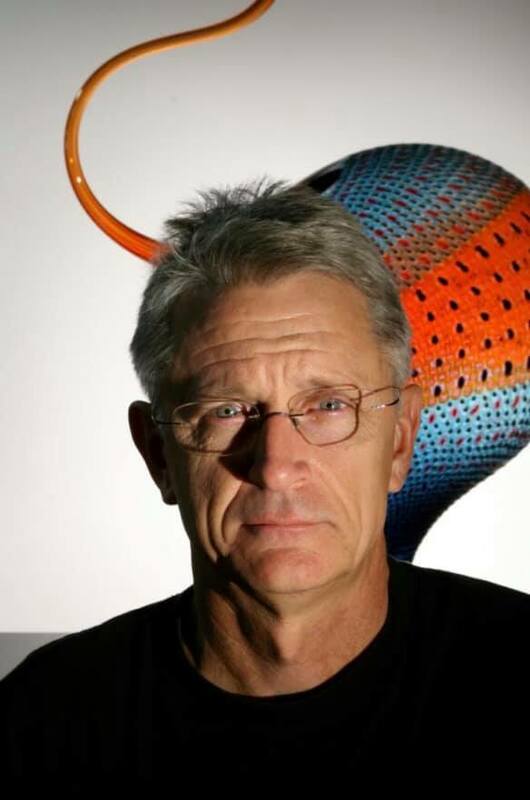 He achieved great international prominence in a career that contributed greatly to the glass community. Our deepest condolences go out to his family and the glass art community. He will be deeply missed.